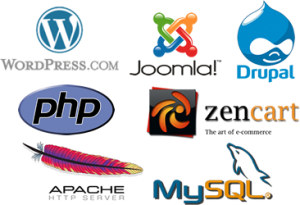 Our company specializes in custom web site development & administration. What if I told you that your web site could always be up-to-date, current, and aesthetically pleasing? Your staff can have assistance on the content of your web site with a simple email or help ticket. Your announcements, calendars, and documents would always be posted on time and be informative. This is all done easily and affordably with our full administrative services. If you want to be hands off but also have to be on the internet this service is for you. Every online store needs to have a great Internet presence and we use only the best applications. In developing selling websites we use one of the following, Cube Cart, Zen Cart, Red Hat Interchange Cart, OS Commerce, and Agora. These options are the best in the business and provides the best possible on line stores available to your clients. HOA Management Companys, Every association & management company can have a solid, affordable, value-adding online tool to enable them to communicate more efficiently and streamline organizational functions. Our company specializes in school web site development & administration. What if I told you that your school web site could always be up to date, current, and aesthetically pleasing? Your staff can have assistance on the content of your web site with a simple email or help ticket. Your announcements, calendars, and documents would always be posted on time and be informative. This is all done easily and affordable with our school service.